This defect is tiny and hardly noticeable to the naked eye but shows up well in the photos. In the picture, the lion looks like it has a defect, but it does not. Each 24" chain necklace includes an imitation silver locket and 10 reusable, felted Essence Rounds to hold your favorite fragrance oils. The newest way to enjoy your fragrance oils. DO NOT DUPLICATE OR COPY! Pendant/Charm Type : Locket. Material Purity : 14K. ABOUT ICE CARATS. ✅ Connect with Jewelry Experts. Sold By Unit : Each. Each piece hand stamped for authenticity. Product Type : Jewelry. 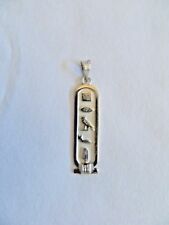 Jewelry Type : Pendants & Charms. Need a Longer Chain?. Size of the Necklace: 1 7/16" X 1/2" (36mm X 13mm). Thickness of the Necklace: 18 Gauge (1.22mm). Weight (with Chain): 8 to 10 Grams approx. Need a Longer Chain?. Size of the Necklace: 1 7/16" X 1" (36mm X 25mm). Thickness of the Necklace: 18 Gauge (1.22mm). Thickness of Box Chain: 13 Gauge (2.34mm). Weight (with Chain): 9 to 10 Grams approx. About Infinite U. Material: Alloy Crystal, Weight: 28g. Pocket Watches. Pendant size: 4.5 3.5cm, Chain length: 60 5cm(Adjustable). Product Details. We stand behind our products. 0: Length: 0.45 cm Width: 0.02 cm. Pink Photo Heart Locket Necklace for Girls. Locket Size: 1.1 in. W x 1.18 in. H (28mm x30mm); Chain Length: 16 in. 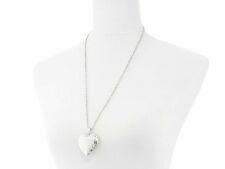 Heart Lockets are Great Gifts for Toddlers or Young Girls; Gift Box Included.